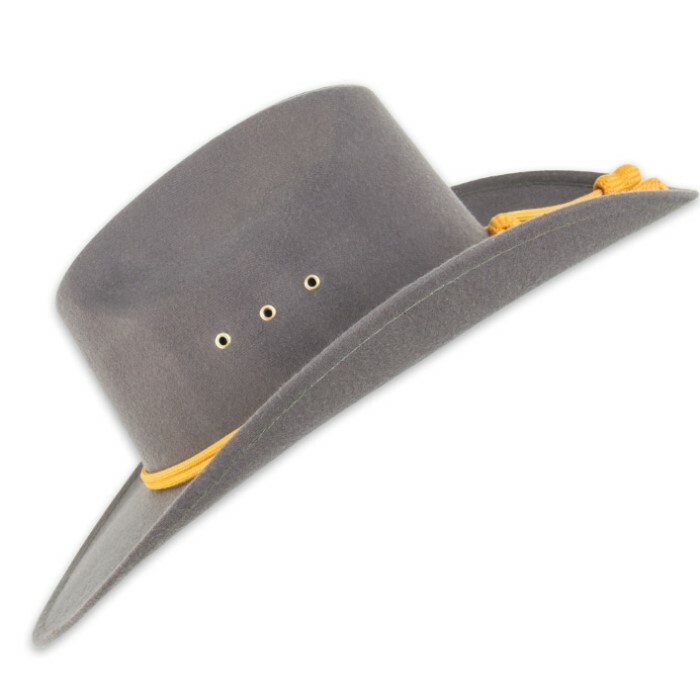 Confederate Officer Dress Hat With Gold Tassels | BUDK.com - Knives & Swords At The Lowest Prices! 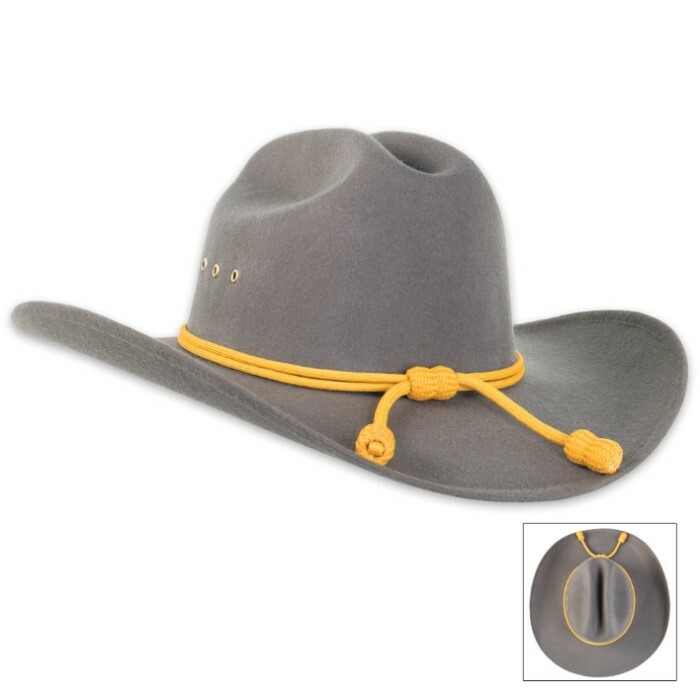 This gray felt western style cowboy hat with gold tassels is a recreation of the Civil War Confederate Officer Dress hats. Makes a terrific gift and will be worn with pride. When I first inquired as to the quality of this hat, I was told that it only came in a sort-of "XL" size. I can only assume not too many of the guys at the BudK Q&A dept wear a hat. I ordered one on a whim, thinking if nothing else it would make for a nice display. This hat is actually pretty cool, literally. The hat/head size itself is large-ish, BUT the internal hat band is a mesh-suspension design that keeps the hat not only comfortable to wear but also allows air flow. Along with the rivet vents, this is already nice and cool on a hot day. The material the hat itself is made of is sturdy but flow-thru fabric that holds its shape, adding another level of airy comfort as well as keeping the sun off of you shoulders, neck and noggin. 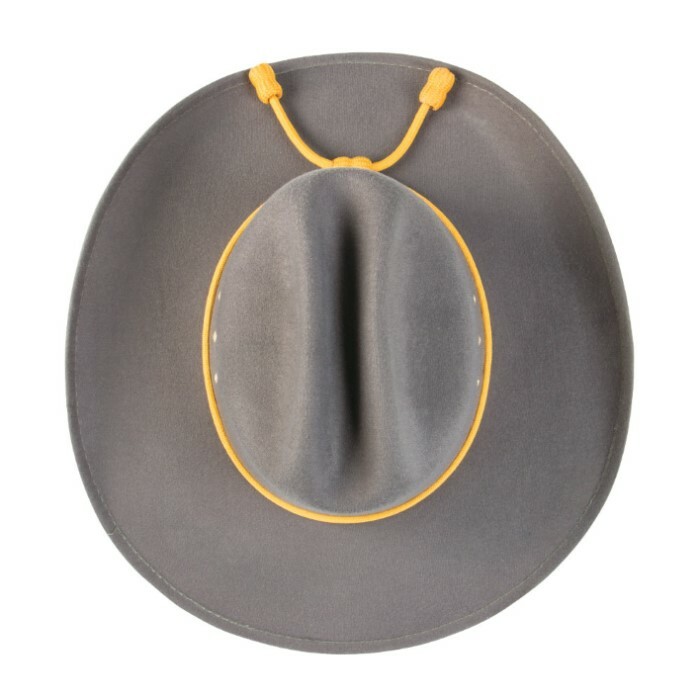 The acorns on the Cavalry hat chord can be moved with the help of a hot-pin to loosen the hot-glue at the end, and then trim the excess to taste. I re-shaped mine to look less "modern cowboy" and more of a "slouch" hat using the tried and true "tea kettle" steam method. Actually, a nice looking hat at a great price for those hot summer days!